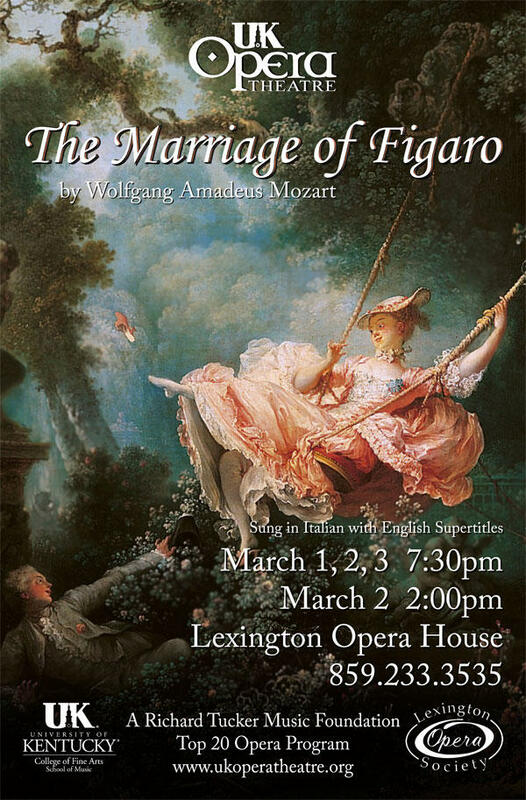 UK Opera Theatre Presents "The Marriage of Figaro"
Some of the best young vocalists in the country have called Lexington home, albeit temporarily. The University of Kentucky Opera Theatre Program has earned respect across the country. Its instructors and performers get a chance to show off this weekend with their performance of Mozart's The Marriage of Figaro. At a rehearsal earlier this week, Arts Weekly's Roger Duvall spoke with program director, Everett McCorvey.